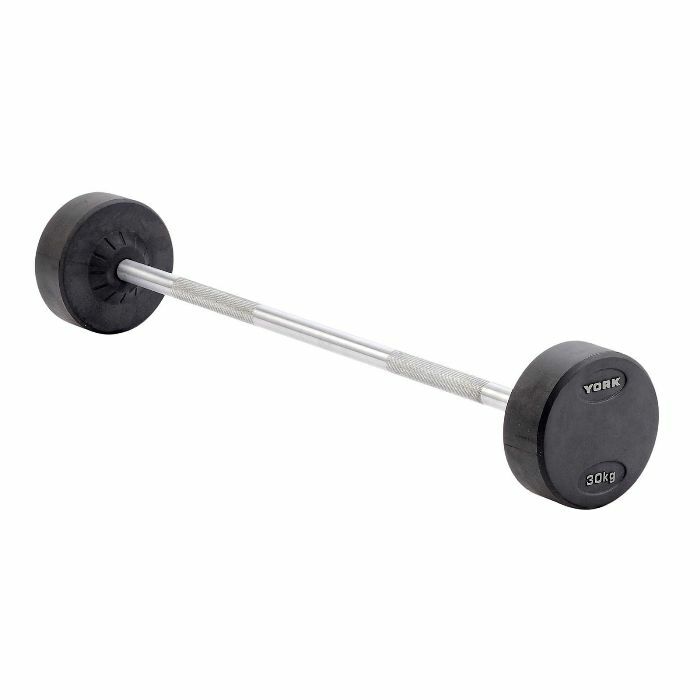 Barbell is a fitnes equipment, genrally used in weightlifting, weight training and powerlifting. This gym equipment ranges from 1.2 m to above 2.4 m. Generally Barbells above 2.2 m are used for weight lifting. It is used for several exercise such as chest, shoulder, neck, Bisceps, triceps and even back. The weight plates used in both side of a barbell can be adjusted according to your capacity and strength. Weights can be managed according to your suitability.